It's definitely beginning to look a lot like Christmas out here in Ontario, Canada. Over the weekend we finally got snow that stuck. We also went to our first Holiday party over the weekend as well. It was an Ugly Sweater Party that turned out fabulous. This won't be our last party to go to as I'm sure we all have tons of holiday parties that we will be attending this month or hosting. 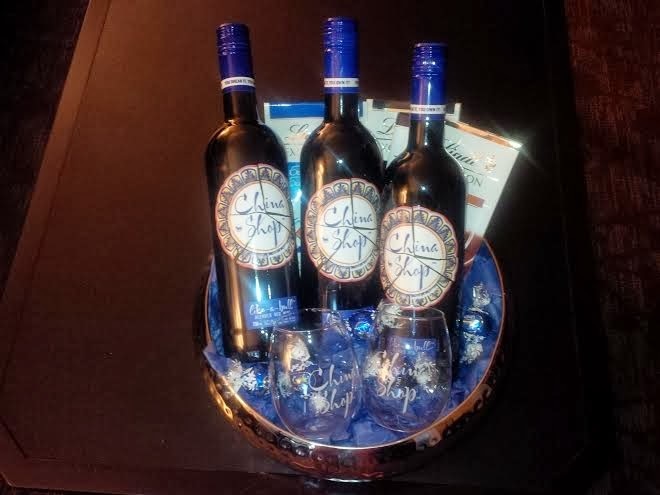 Either way, why not host with this lovely gift basket from China Shop Wine?! China Shop Wine is a delicious well blended Spanish red wine that has a hint of vanilla and fruit flavors. It's perfect for this time of year and would be a great gift to give to any host that's hosting a holiday party. They're offering one of our lovely Canadian readers from Just Us Girls a chance at winning a gift basket that includes three bottles of China Shop Wine, two limited edition stemless wine glasses, only available in LCBO's until the first week of January) along with delicious chocolate. You can find China Shop Wine at any LCBO retailing for around $11.95.